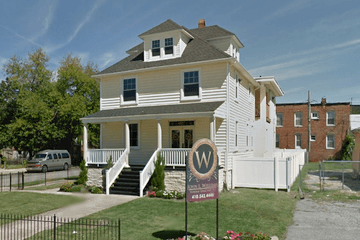 James A. Morton & Sons Funeral Homes, Inc. Almost 621,000 people live in Baltimore, the largest independent city in the United States. There are several different funeral homes that meet the needs of the diverse communities of Baltimore. 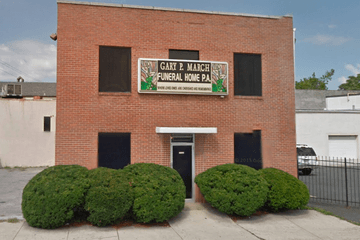 Funeral homes in Baltimore are well-distributed across the city’s neighborhoods. Catholicism is the primary faith practiced in Baltimore, followed by various other denominations of Christianity. The Jewish faith is also among other religions represented in Baltimore, which also include Islam and Eastern religious faiths. Therefore, funeral homes in Baltimore may have experience providing funeral arranging services to diverse faiths and beliefs. The Beth AM Synagogue on Eutaw Place and the Bnai Jacob Shaarei Zion on Park Heights Avenue are available for bereaved members of the Jewish community. The Islamic Society of Baltimore and Masjid-ul-Haqq are located on Johnnycake Road and Islamic Way respectively. St Leo Roman Catholic Church is on South Exeter St and is rich with history. The New Cathedral Cemetery on Old Frederick Road is a beautiful place to lay a loved to rest. According to Maryland state law, death certificates must be filed within three days, and it is the funeral home that usually does this. Funeral directors, a surviving relative, an authorized representative, or a court of law can obtain the death certificate. Be aware that in Maryland burials can only take place in an established cemetery or a family burial plot. Talk to a Baltimore funeral home for advice on arranging a burial or cremation for a loved one. 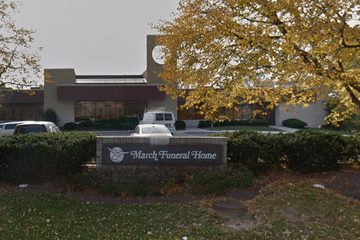 Search by area or ZIP code now to find local funeral homes in Baltimore near you. You can order results by best rated, most reviewed or nearest, and click on a funeral home’s profile to find out more. Here you can read customer reviews, learn more about the services they provide, and get in touch to begin making funeral arrangements for your loved one.